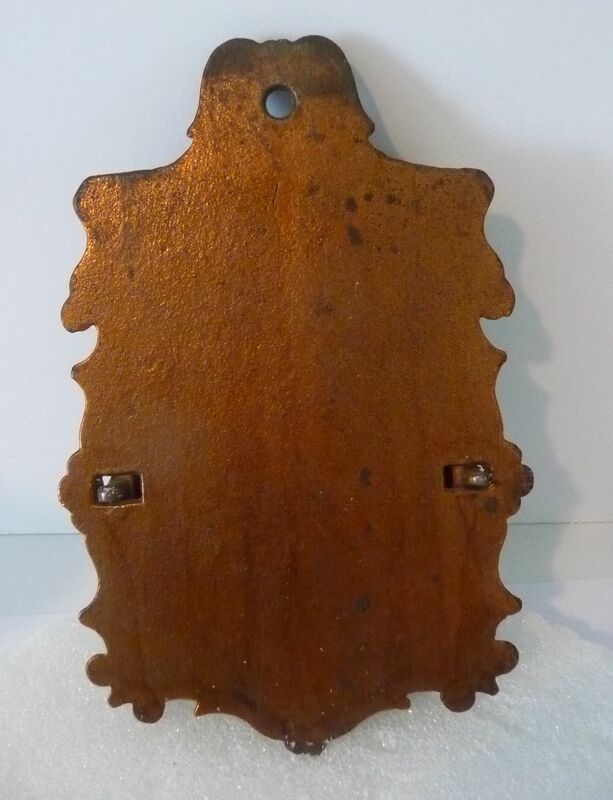 This rare copper flashed cast iron 19th century wall mount double match holder was used in order to keep the mice out of the matches. 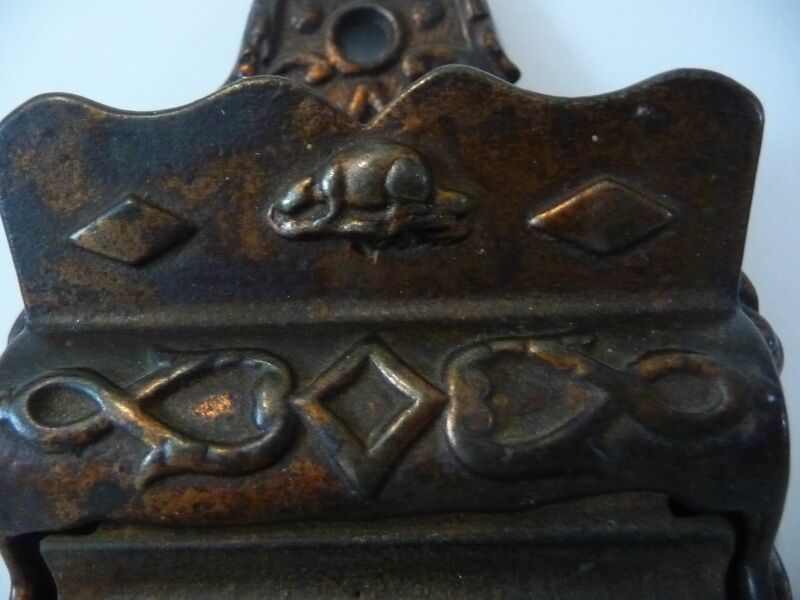 It has 2 compartments: the top bin is open, with a beaver and 2 diamonds on the face, and was used for burnt matches. It is identical to the C. Parker Match Safes made in the USA except for the maker and beaver emblem. The bottom compartment with a lid held the unused ones. 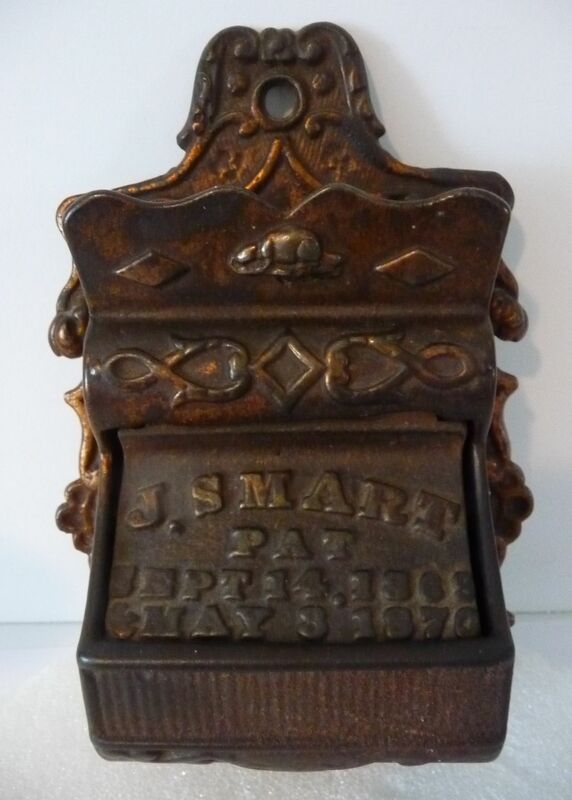 It is embossed on the lid "J.SMART" PAT SEPT 14 1869 & MAY 3 1870". 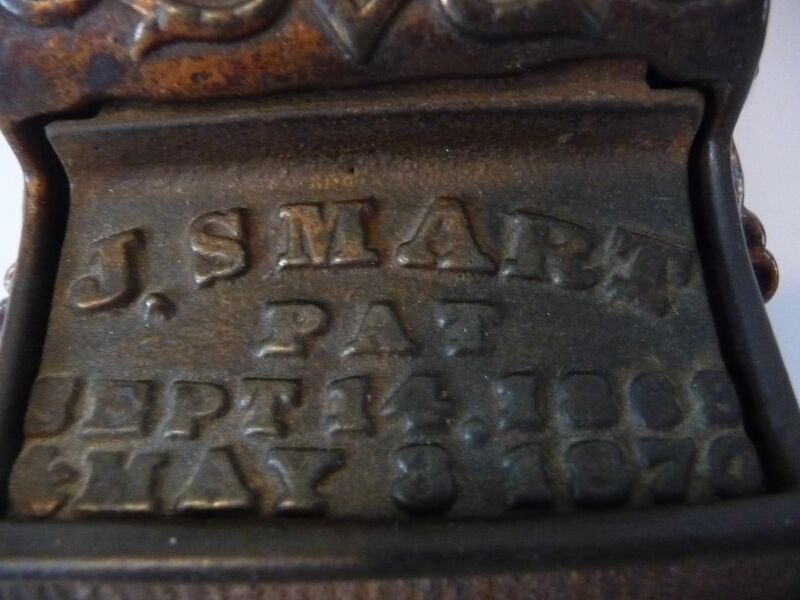 (This was the foundry of JA.S.SMART Brockville Ontario).There is a rough area on the bottom of the front to strike the matches on.. Condition: As found, no damage or repairs. Original surface. Dimensions: Height 6 5/8", Width 4 1/8".